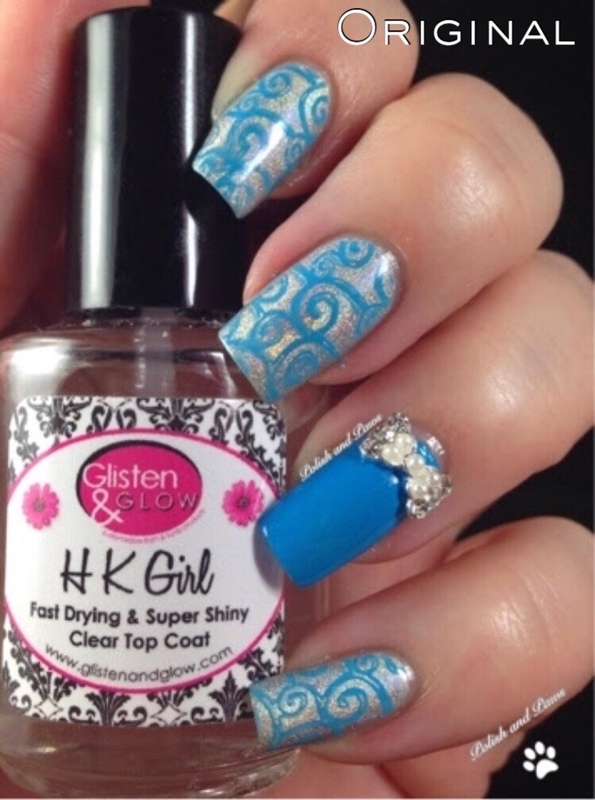 I originally created this mani in November of 2014. Less than 6 months after starting my blog. I made a few changes in my recreation, mostly out of pure curiosity. Check it out and let me know what you think at the end of this post. Check out my original Blog Post here. 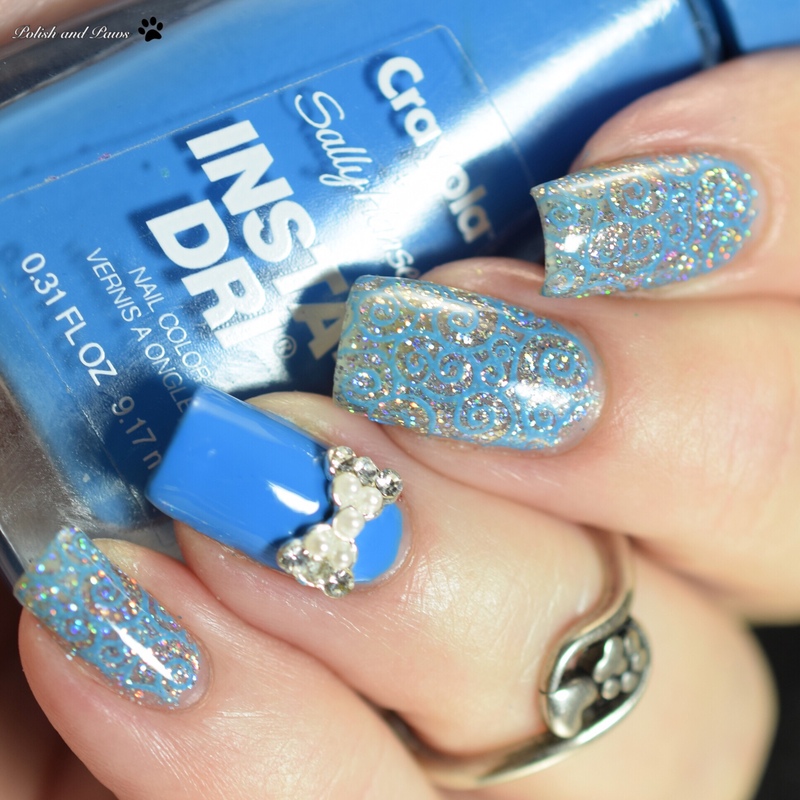 Using the larger scattered glitters in Drunk on Holo gave it a very different look than the original silver holo did. I think I prefer the original, I still like how it turned out though. Which do you prefer? Hope you liked todays post. 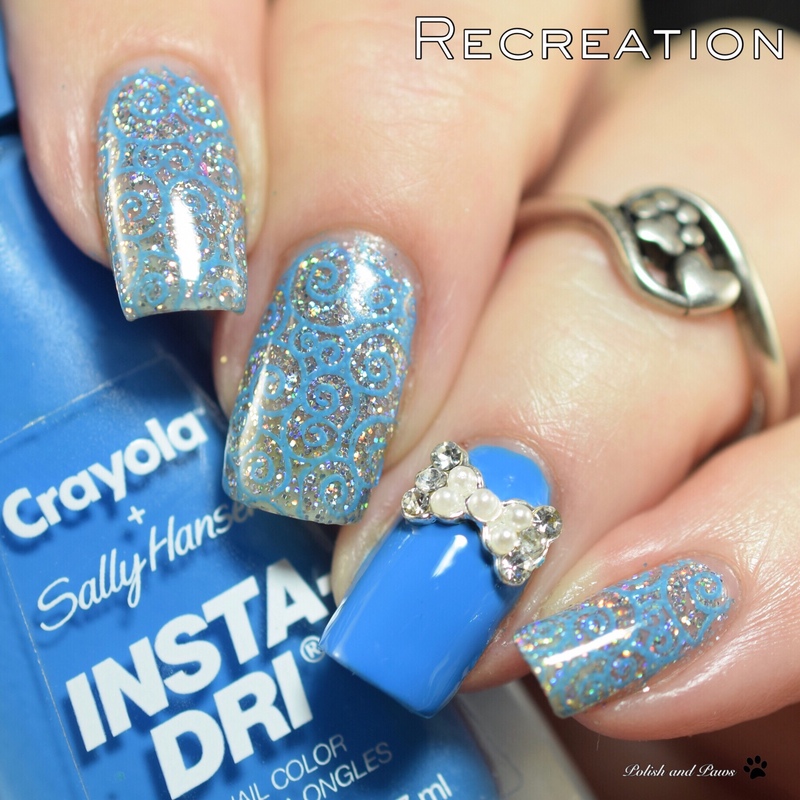 I will be back tomorrow with more mani recreations. Be sure to check out the link up below to see what the other ladies did for today. I really like the second one! 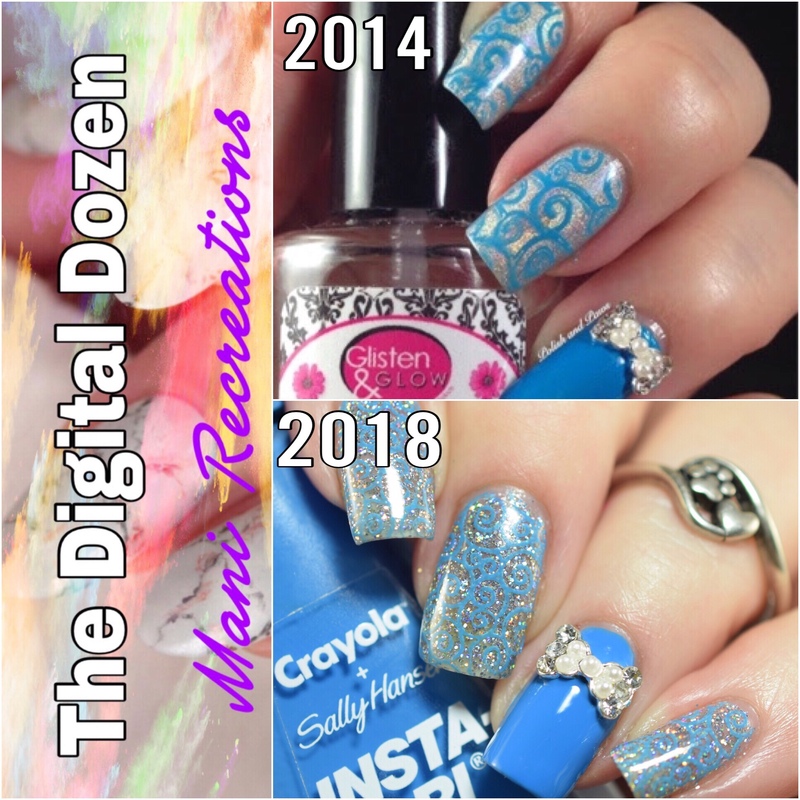 Recreating manis are so much fun plus you always get to see how far you’ve come with a certain technique and what not. The stamping looks so cool! I love the colours in both designs. 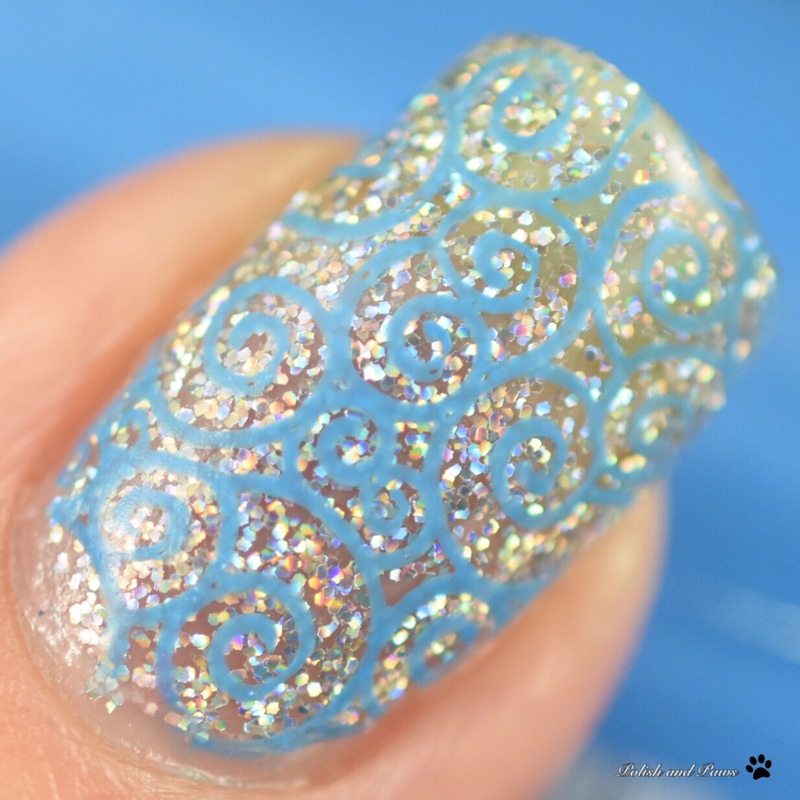 But I agree with you that the contrast of the swirls on the holo makes them stand out in the original. I love this design! So see why you wanted to redo! Plus that blue is amazing! It’s the same look yet so much crisper. So pretty. Ohh, these are beautiful!! I love that you used glitter for the silver this time around!